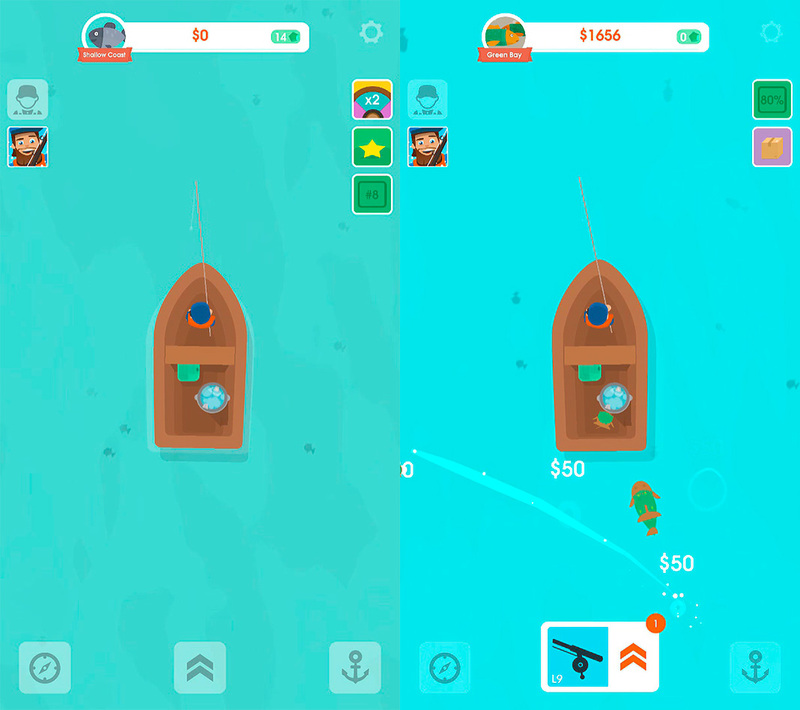 Hooked Inc: Fisher Tycoon is a simple idle clicker where you can catch all sorts of fish by simply tapping the screen. No one would have expected fishing to become a hot topic in the world of videogames until Ridiculous Fishing turned the sport into an all-out hit. Yes, there were fishing games that came before it (just look at SEGA Bass Fishing), but the title by Vlambeer has made this theme shine, with simple mechanics taken straight out of arcade games. Hooked Inc: Fisher Tycoon takes us back out on the open water to try to catch as many fish as possible by tapping the screen. It seems like Lion Studios has discovered the recipe for success on mobile devices: simple gameplay in short and sweet rounds. We’ve seen this in Happy Glass, Draw In and Big Big Baller, their latest hit. These games couldn’t be more different from each other, but one thing they all have in common is simplicity. 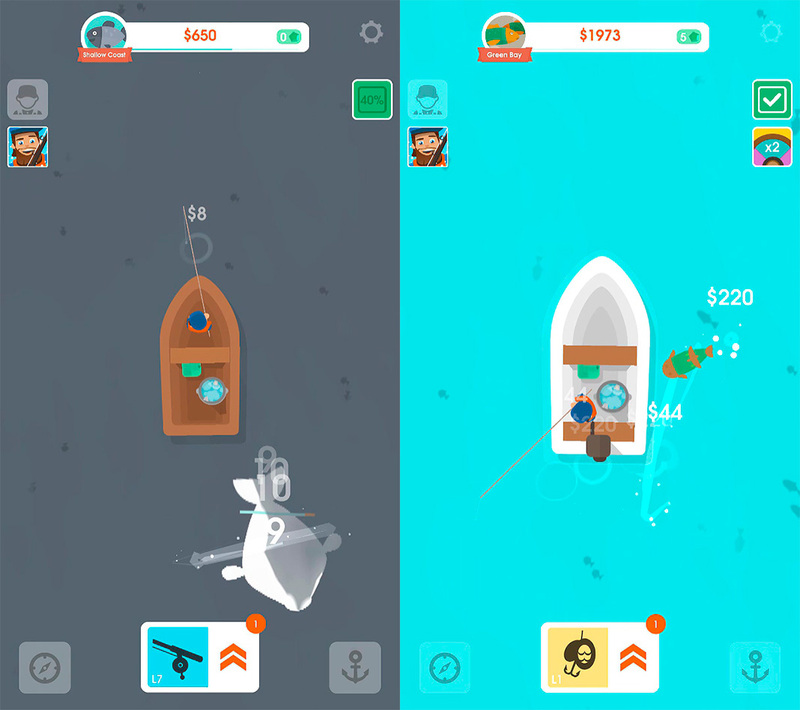 Hooked Inc: Fisher Tycoon joins this family of games with a formula that almost always works: tapping the screen endlessly. Yes, we’re talking about yet another idle clicker. Digging deep into Hooked Inc: Fisher Tycoon isn’t going to lead us to find a hidden gem: it’s a pretty commonplace game, in terms of both its looks and its content. You tap the screen to catch fish that will give you money to invest in your boat, fishing poles, and characters. It’s nothing we haven’t seen before and can’t find in a thousand other games. The thing is, games from Lion Studios have a graphic charm that makes them stand out from the crowd. As you advance through the game, you’ll find rarities among the fish that will help you complete your collection and earn more money to invest. 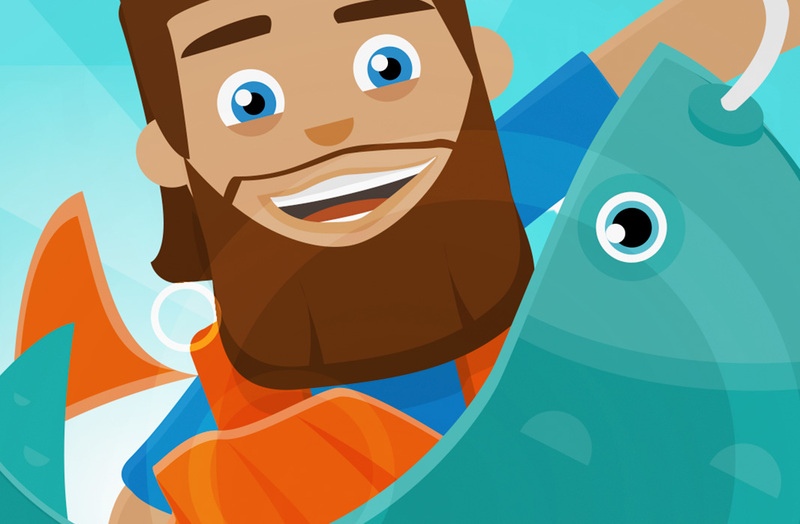 Hooked Inc: Fisher Tycoon will have you hooked from the start thanks to its incredible simplicity. The visuals are colorful and you’ll spend a good long while tapping the screen to get new catches. It’s not the most original game in the world, but it is a title that you can pick up and play a nice quick round whenever the mood strikes.